antar Mantar was built in 1724 by Raja Jai Singh II of Jaipur in Delhi. It is an astronomical observatory with masonry instruments. Jantar Mantar in Delhi is a remarkable and curious creation of Raja Jai Singh II, the mathematician and astronomer king. Jantar Mantar has instruments that can graph the path of the astronomical universe. 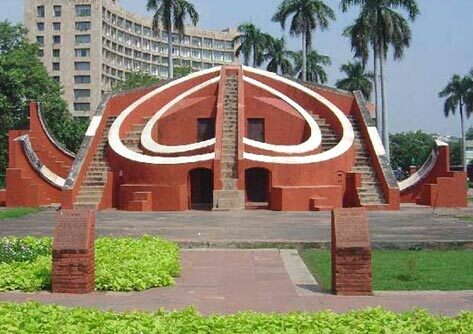 The name of this noteworthy astronomical observatory, Jantar Mantar means ‘instrument for calculation.’ There is a colossal Samrat Yantra at the periphery of Jantar Mantar. To the south of Samrat Yantra there is an amazing instrument called Jai Prakash. 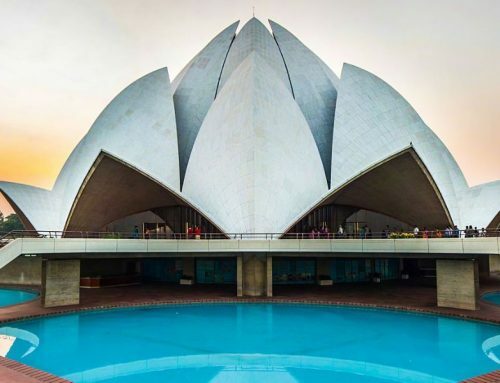 The Jai Prakash of Jantar Mantar in Delhi has two concave hemispherical structures and used for determining the position of the sun and celestial bodies. Jantar Mantar is built of brick rubble that is plastered in lime. You can see the following instruments inside the Jantar Mantar of Delhi. All these instruments can be used for various astronomical calculations. Today the historical structure is encircled by new office buildings. Jantar Mantar of Delhi is even used by modern day scholars to ascertain the location of the heavenly bodies in our universe. The Delhi Jantar Mantar is located adjacent to the well know Connaught Place and is open to public from 10 am to 6 pm. The entry to this amazing astronomical observatory is free. MyVoucherDeals.com offers latest coupons, promo codes & deals for Nike to make sure you save when you shop online. Save on Nike shoes, clothing, accessories & gear including Nike Fuelband for men, women & kids at Nke.com. Customize your shoes including Nikeid’s best selling designs & styles like Nike Roshe Run iD, Nike Flyknit, Nike LeBron Basketball Shoes & more. MyVoucherDeals.com provides daily updated hand selected deals from thousands of advertisers like Nike, Nike id, Famous Footwear, Southwest Vacations, Match.com, Nordstrom, Shoemall, ticketsnow, Macy’s, Puma, Sprint & more.